Manufacturing industries consume different types of resources while manufacturing their products as well as offering services. This consumption of resources, particularly diminishing natural resources, has been hazardous and causing serious losses to the environment and hence to the earth as well as animal and plant life. Most of the manufacturing organizations have realized the need of corrective actions towards this destruction. They have also realized the importance of adopting sustainable practices for their manufacturing activities to survive in the intense competition at local as well as global level. Thus, the Sustainable Manufacturing (SM) has been gaining increasing importance. Research so far in SM does not offer an easy to adopt, integrated and holistic approach towards implementing SM. Most of the researchers have mentioned the need of a comprehensive framework or a model for the adoption of SM practices with due importance to ‘manufacturing and technology’ domain over to three conventional domains of sustainability, i.e. economic, social and environmental. 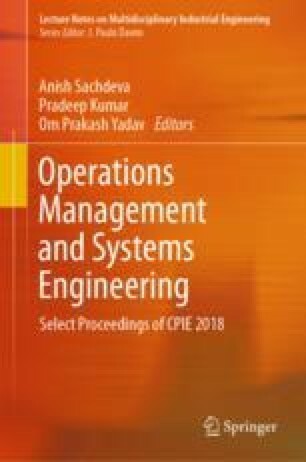 The main aim of this paper is to address this need by proposing a basic framework of four domains and hence to develop a Partial Least Square—Structural Equation Modelling (PLS-SEM) model validated using SmartPLS software for the analysis of empirical data of Indian Engineering Manufacturing industries. The results of model fit analysis revealed quite satisfactory performance of the ‘manufacturing and technology’ domain with acceptable level of control over the adverse impact on environment and a need for enhanced attention towards social domain. Authors of this paper expect that this study will provide a systematic approach for the implementation of SM in manufacturing industries so as to enhance the decision-making towards controlling adverse impact of manufacturing-related activities.